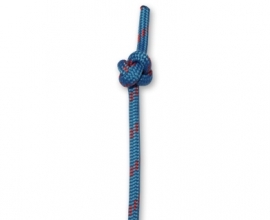 The Stopper Knot is a very versatile knot. 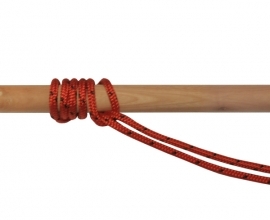 It’s a neat way to put a stopper on the end of your line, it’s quite a heavy knot making it a good alternative to a Monkey’s Fist and could be used as a handle/grip on the end of a rope. 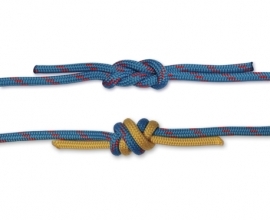 It’s a variation of the Overhand Knot and very easy to tie. 1. 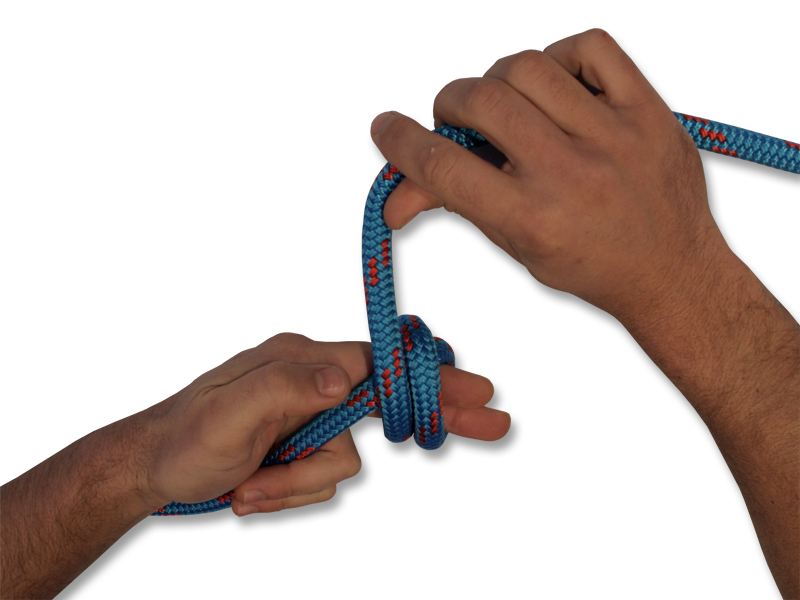 Grab hold of the standing end quite far up the rope so you have a long working end. Make a crossing turn around the fingers of the hand that’s holding the standing end. 2. 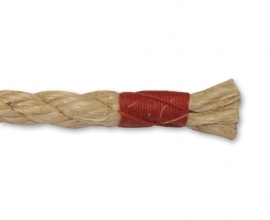 Start wrapping the working end around the fingers along and over the standing end. 3. 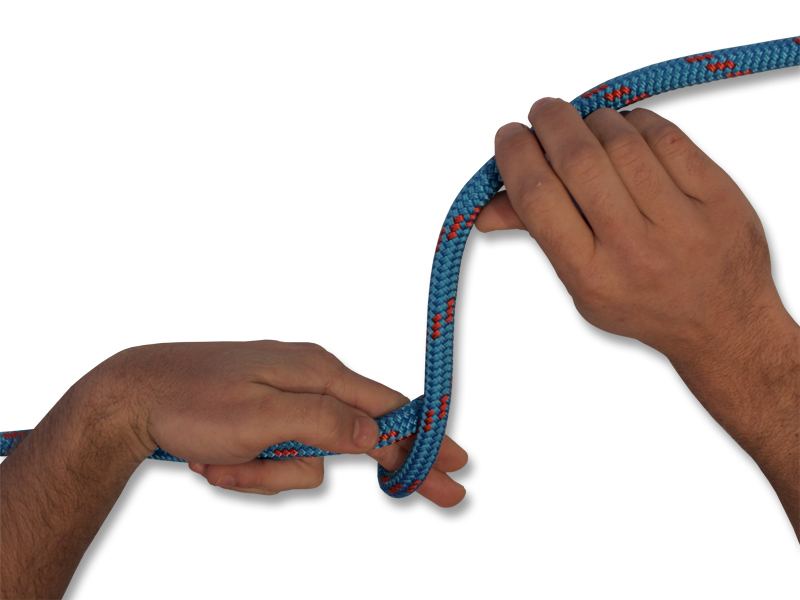 After you’ve created a few wraps, take the loops you’ve created off your finger and tuck the working end through the middle. 4. 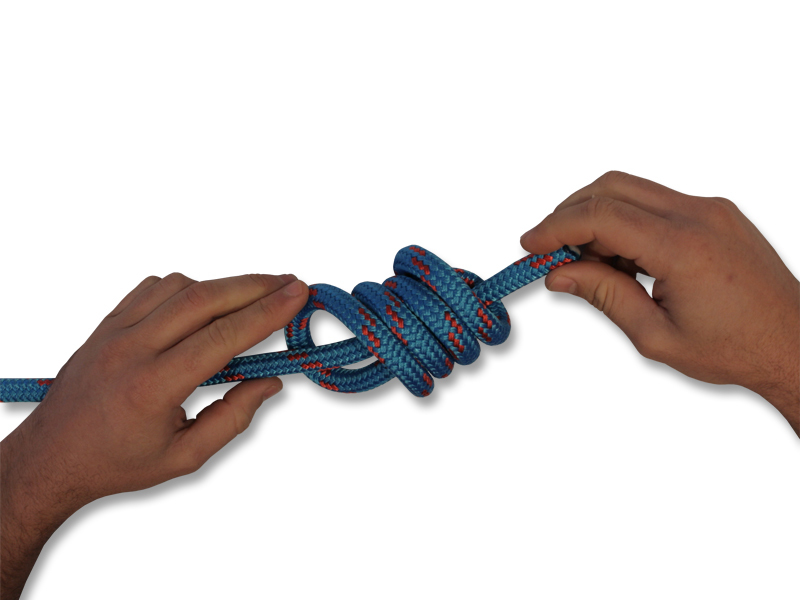 Push the working end through the middle of the loops until it comes out of the other side. 5. 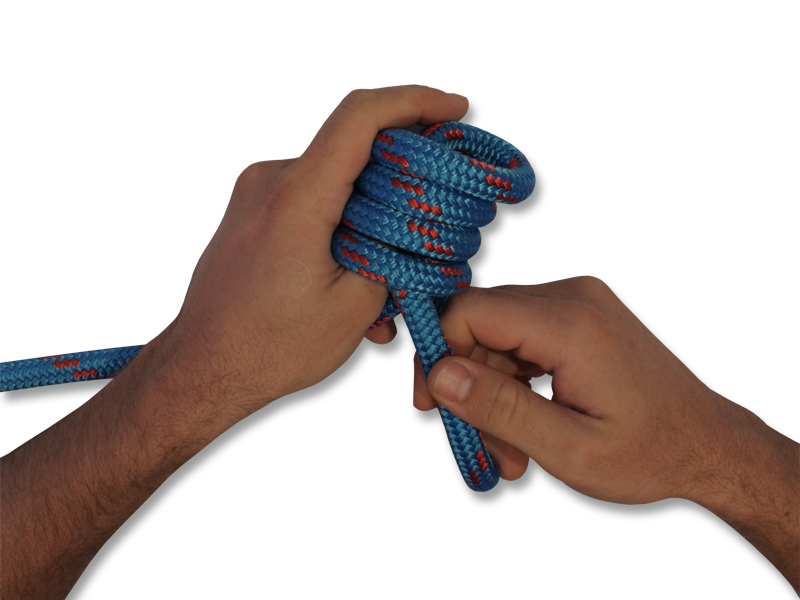 Dress the knot by pushing the loops down the standing end while pulling the working end in the other direction.